Premier all suite Texas property to forgo printed materials in favor of a digital guest experience. London 5 March 2018. Crave Interactive, the world leading developer of cloud-based digital guest service solutions for hotels, today announced a partnership with Texas located Embassy Suites by Hilton Denton Convention Center to provide a revolutionary digital guest experience in all 318 of its spacious suites with Crave’s latest in-room tablets. Crave’s sleek 8” T-Mini tablets will stand in lieu of all of the Embassy Suites property in-room printed directories and marketing materials to provide guests with real time information and personalized promotions that are updated instantly and easily by staff, as well as single-touch TV and room controls, news and weather, digital concierge, and more. The Crave tablet features an intuitive user-friendly interface and a charging dock with two USB ports for guests to charge their personal devices. 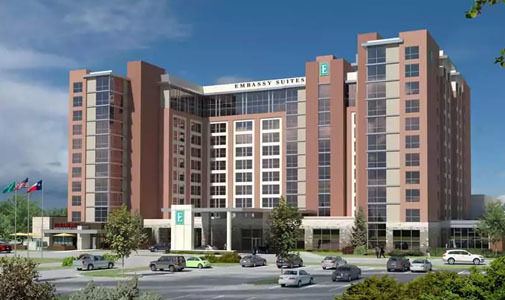 Embassy Suites by Hilton Denton Convention Center is located at 3100 Town Center Trail, Denton, Texas, 76201, USA. For more information or to make a reservation, visit embassysuites.com or call +1 940 243 3799. Founded in 2007 by Mr. Tim O’Reilly, O’Reilly Hospitality Management, LLC is a proven hospitality firm specializing in the design, development, and staffing of hotels, restaurants, and commercial properties for some of the leading national and independent brands across the nation. Founded on the principles of sustainability, community involvement, philanthropic outreach, and a commitment to elevating the modern guest experience, O’Reilly Hospitality Management is truly an innovative presence in the hospitality space. 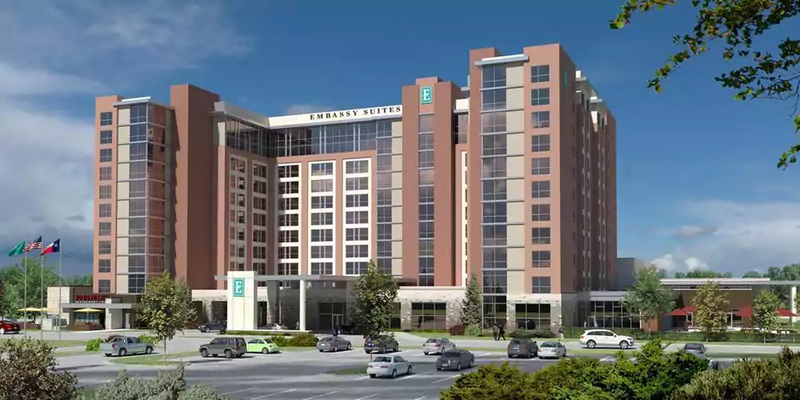 Our hotel management company in Springfield, Missouri, brings a wealth of knowledge and forward-thinking initiatives to 24 existing sites and continuous development of new properties across the states. We do whatever it takes to make every guest smile, thanks to award-winning service, sustainable green practices, and a staff buoyed by working for a caring and involved company. For more information please visit http://www.ohospitalitymanagement.com and to connect with O’Reilly Hospitality Management like us on Facebook.